Aeon, a kind of online magazine, describes itself this way: "Aeon is a registered charity committed to the spread of knowledge and a cosmopolitan worldview. Our mission is to create a sanctuary online for serious thinking." 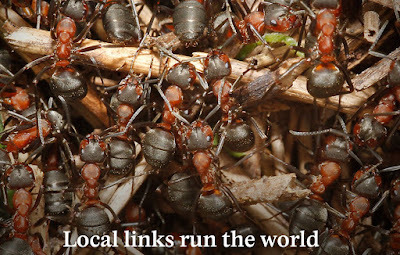 Recently, I read an article on the Aeon website titled "Local links run the world." The author, Deborah M. Gordon, is a professor of biology at Stanford University. As you might guess from the illustration above, Gordon specializes in the study of ants. Ants, however, are not the only things she writes about. She adds in an analysis of the social lives of seventh and eighth grade girls, and talks about Facebook, too. Almost everything that happens in life is the result of a network. 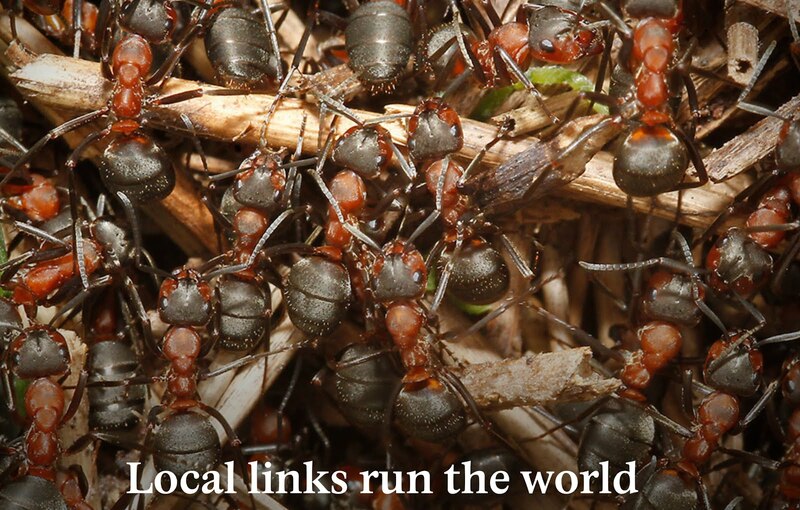 Making, or breaking, local links is the way to change.